The ALPS Lock with Pyramid is an all-in-one lock body design which combines the lock and pyramid. 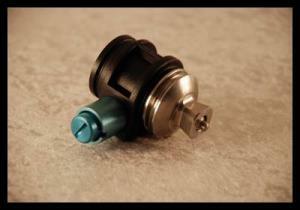 The glass reinforced nylon lock body exhibits better wear characteristics than delrin or aluminum. The convenient one-way gear allows the user to push in or wind the limb into the socket. A unique feature of this type of lock is that if foreign material or clothing gets caught in the gear the housing can be removed freeing the pin.